This morning we received a thoughtfully written synopsis of the Life Flight accident in Des Moines Iowa on March 3, 1980. Included were photos of the crewmembers, Hallie Burns, Maureen Griffin and Nick Roetnor, as well as the aircraft. These were submitted through our web site anonymously, and I would like to thank whomever took the time to scan these clippings and help us tell more of the story. 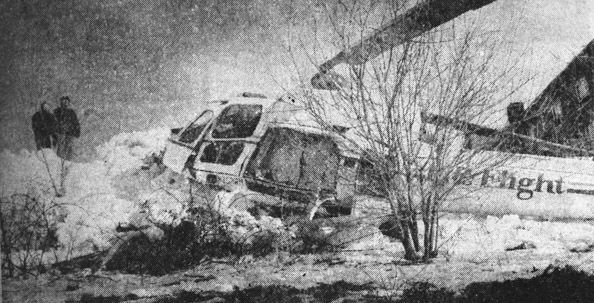 I’m sure, to many people, it may seem like 1980 was a long time ago, and any healing that needed to happen as a result of this accident has taken place. The reality is, for those closest to the victims, the pain never really leaves or fades, but rather becomes a new realty. We hope that our efforts will help others live in that new realty by creating a permanent place recognizing Hallie, Maureen, Nick and many others. Someone held on to the article for many years. This person may have been a family member, a team member or a friend, but they refused to let their memory pass. They wanted us to know more, and now we do. One of the founding principles of this organization is to recognize every fallen crewmember and to learn their story. Thank to this person, we now have faces to go with their names and the importance of the memorial becomes even greater. Together, we remember and honor. 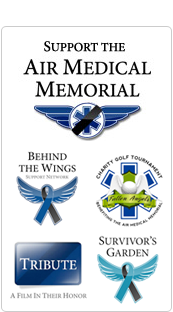 Visit the Life Flight crew page. I commend this memorial to our medical professionals and health workers. The nature of their work means that people can extend their lives. Copyright 2011 Air Medical Memorial. Picture Window theme. Powered by Blogger.